All linen, baby’s cot and high chair provided. 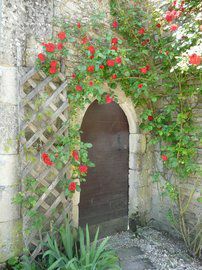 Safe pool in enclosed walled garden. This extremely attractive listed 15th century cottage,adjacent to the other gite, is part of the private walled estate “ Le Logis des Tours “situated in the centre of this typical charentais village where you can find (within 1 mn walk) all of your daily shopping, bakers, butcher, mini supermarkets, chemist, post office etc..
2 acres of mature garden, a private enclosed pool will suit your requirements for a quiet and safe family holiday with peace of mind for your children. 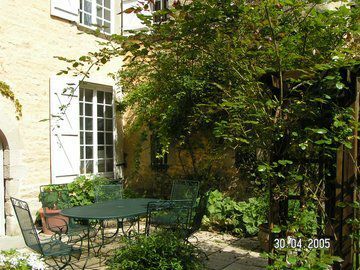 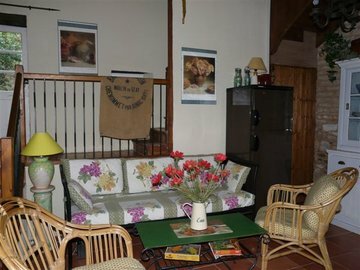 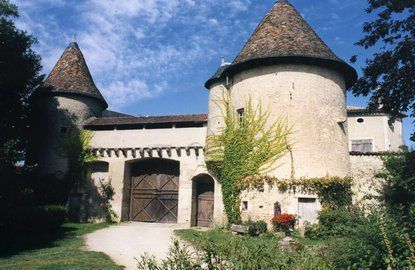 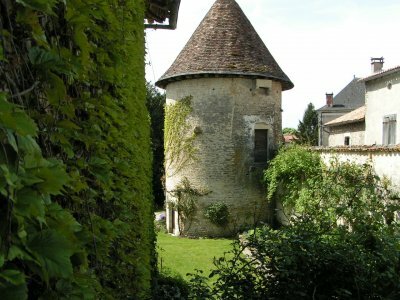 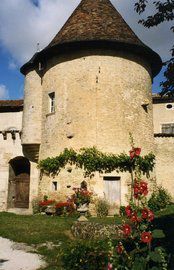 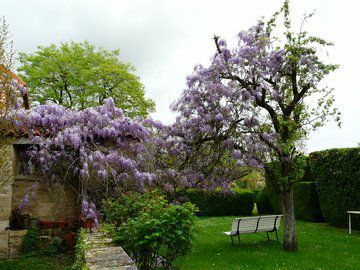 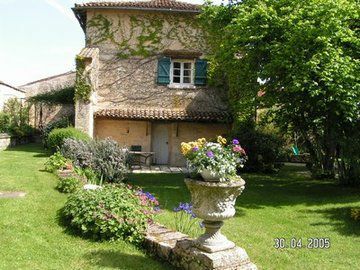 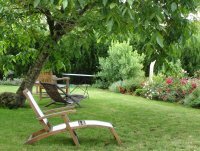 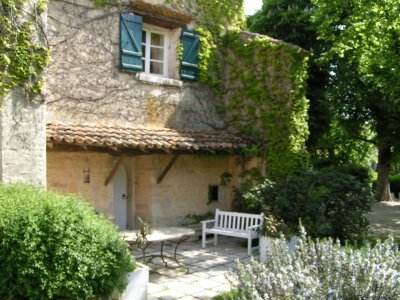 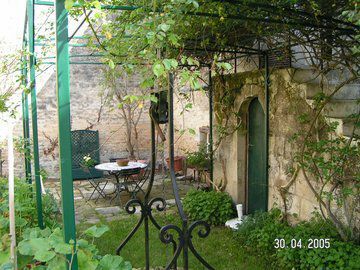 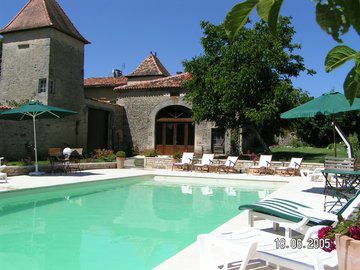 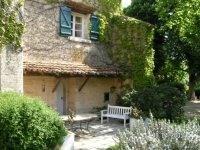 This delightful gite is situated up a flight of stairs. With cupboard and chest of drawers. 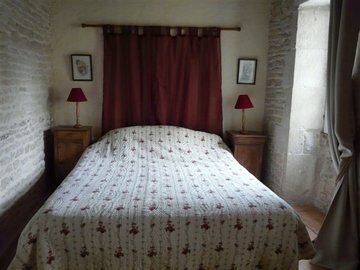 With stone walls, this lovely room has a corner sofa large coffee table facing a lovely 15th century fireplace, with woodstove in situ. 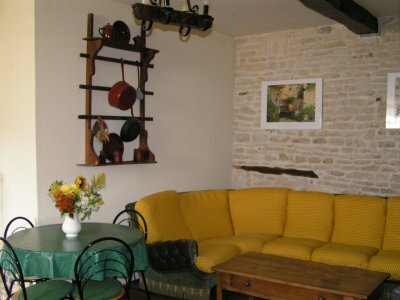 TV and DVD player, a round antique table, opens up to sit 6 people. 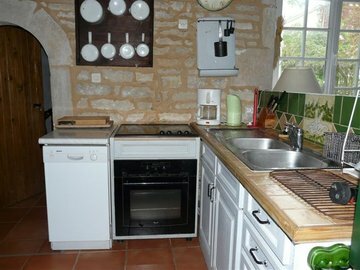 Sink with drainer, Gas Hob, Electric oven, Cupboards ans drawers for all kitchen utensils and tableware, Microwave, Fridge with freezer compartment. 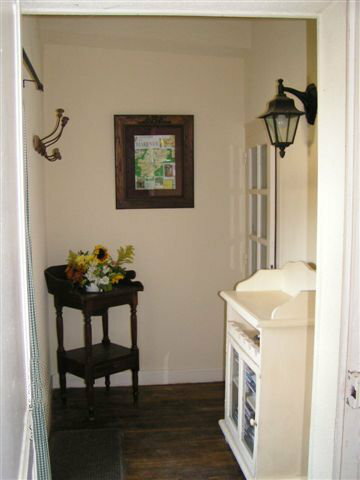 A lovely dresser with shelves, 1 window looking out on front garden. 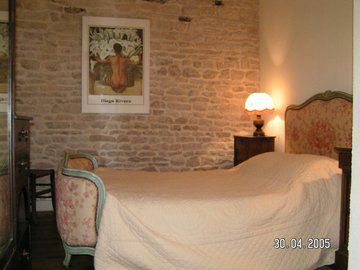 A romantic 1.40 bed with 18th century bed head, 2 bedside tables, 1 chest of drawers, A small basin with shaving point, a door leads to its dressing room. 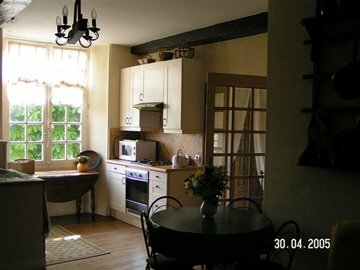 Washing machine in cupboard with ironing table and iron. 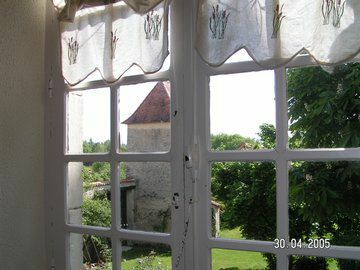 1 window looking out on one lovely tower. 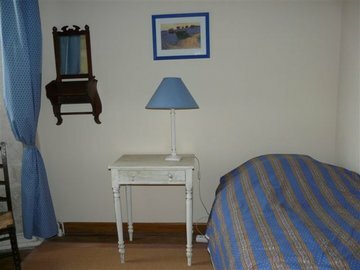 2 set of bunk beds hence sleeping 4 (single beds size), bedside table, armoire, desk, window looking out on front garden. 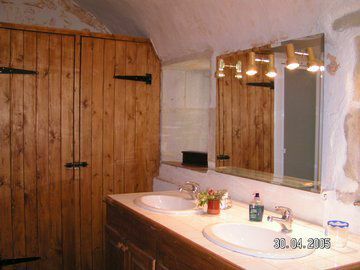 Single basin, shower, large bathroom cabinet. 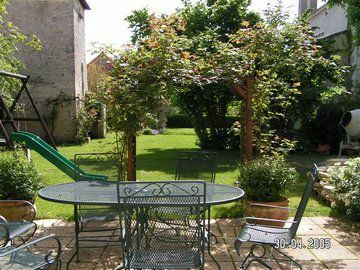 A side patio will allow you to eat in privacy with your own BBQ. 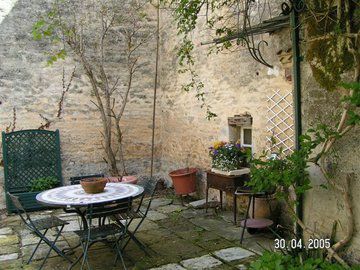 2 Patios to savour your meals. 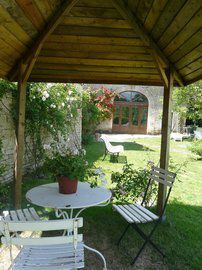 One shaded and one in full sun with a sun ombrella BBQ, boules games, swing for children, ping pong table.